﻿Description: Some of the essential oils in this product contain natural vitamin C, which has anti-aging, cellular regenerative, and collage strengthening capabilities. 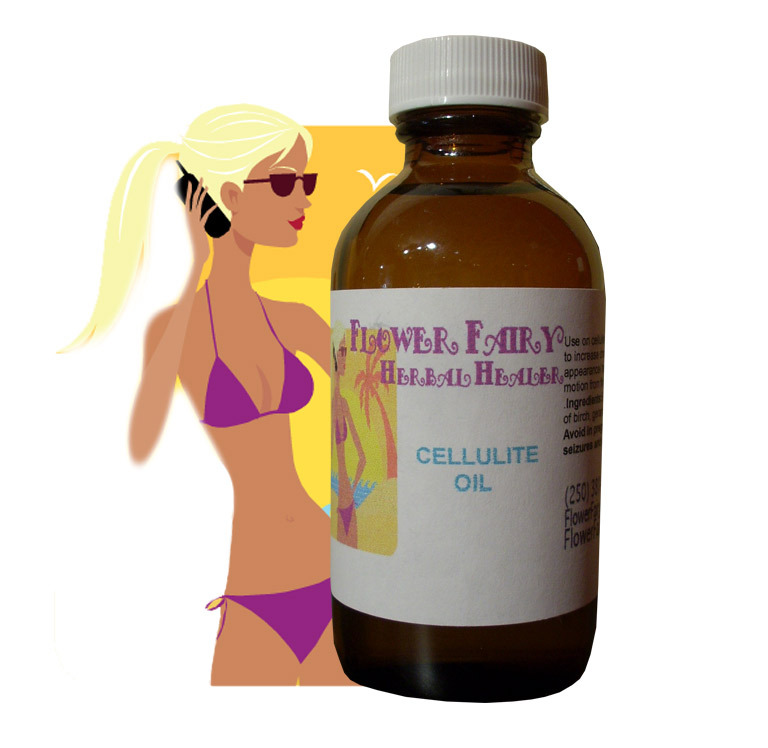 This can positively affect and aid in the appearance and texture of skin and/or cellulite. Some of the essential oils in this massage oil are known to positively affect circulatory and lymph systems, tissue tightening, cell drainage, and cell regenerating. Other essential oils this massage oil includes may have mild external diuretic properties, which assist in ridding the body of retained water. Packaged in a high quality, beautiful cobalt blue/dark glass bottle to keep the product optimally therapeutic and safe ofrom any plastic residue from plastic bottles. Directions: For best results for improving the skin’s appearance, use several times per week, regularly on skin as a massage oil or on skin after a shower. Use in upward motions starting at the legs, stroking upward to the mid body than continue with upward motions from the hands up to the arms/shoulders & tummy. This helps optimally flush toxins & help drain these out of the lymph system more effectively. It is excellent therapeutic massage oil, used by many professional massage therapy clinics. Use on skin to soften & gently scent & moisturize. See cautions below.